By now, you’ve probably heard mixed reviews of Ciaté products. I’ve seen bloggers raving about them, but there are also girls out there who just absolutely hated these so called revolutionary nail arts. For myself, I’m somewhere in between, so I’ve decided to try out other kits from the UK beauty brand to see what I really think about their products. 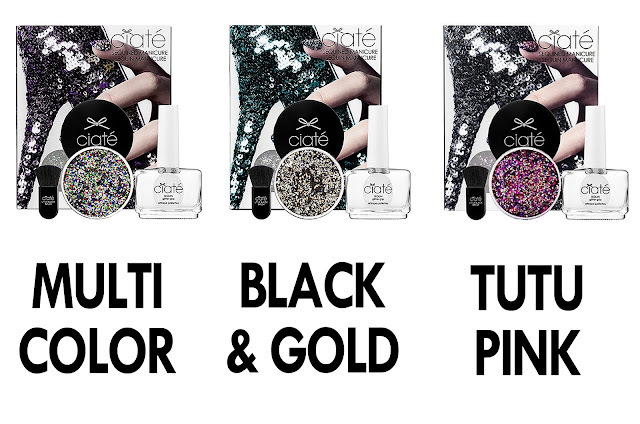 I’ve already reviewed the Ciaté Caviar Manicure kit, which you can read the full review here. Today, I’ll be showing you how I created an gorgeous nail art using the Ciaté Sequined Manicure Kit and as well as a full review on the set. The kit comes in 3 variations – Multi Color, Black & Gold, and Tutu Pink, which is what I picked up. The first word that came to my mind when I opened the sequins pot is stunning. It’s one thing to see it on images and other blogs, but it really blows my mind away when I actually see it in my hands. No words can describe just how beautiful and gorgeous the sequins look in person. Tutu Pink contains a mixture of pink, red, purple, and gold sequins. 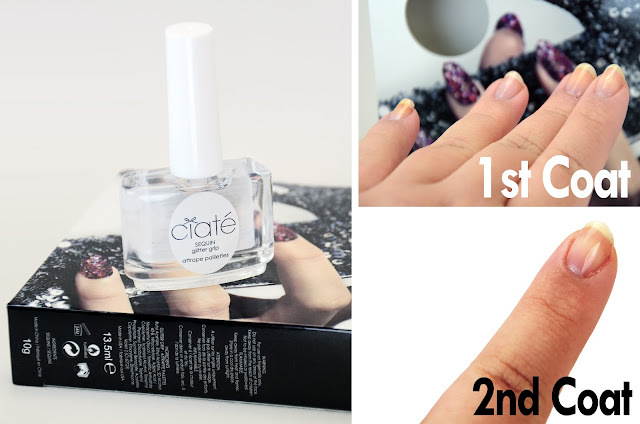 Same as other Ciaté nail kits, this requires lots of patience and as well as massive cleaning afterward. Definitely make sure you put the included plastic tray underneath to collect all the fallout. 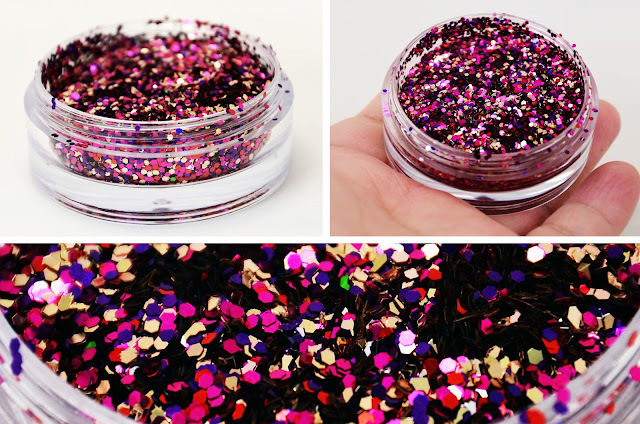 Step 1: Apply a base coat of the Sequin Glitter Grip and wait for it to completely dry. Step 2: Then apply a second layer of the same glitter grip. 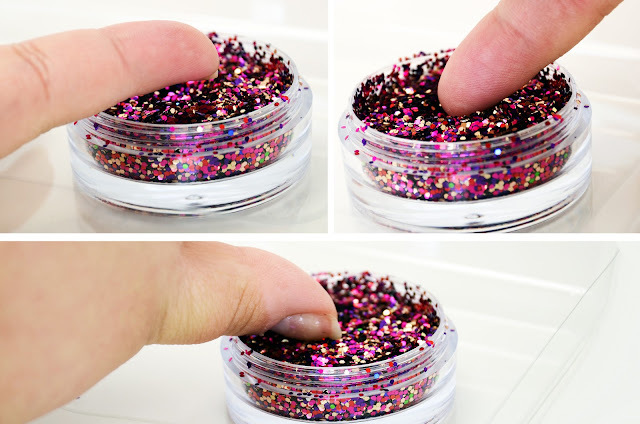 Step 3: While the 2nd coat is still wet, dip your fingers into the sequins pot. 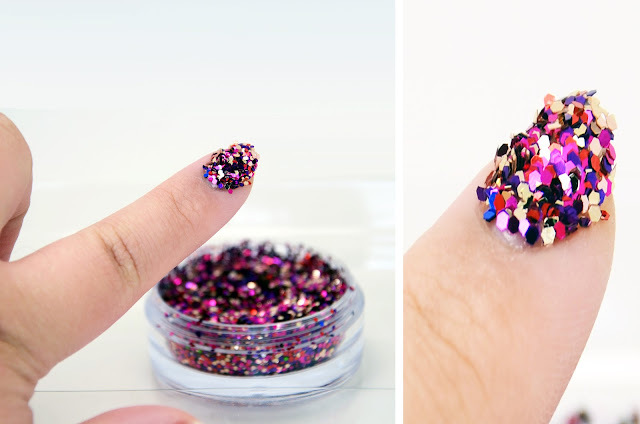 You want to make sure that your entire nail is covered with sequins. Repeat step 3 if there are any bald spots. 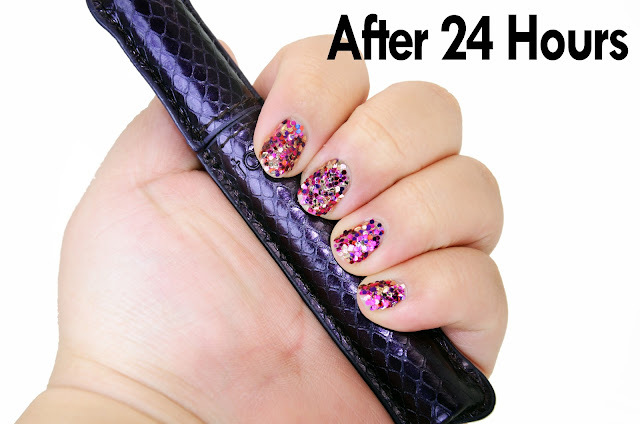 Step 4: Use the included small brush to swipe away any extra sequins on your nails. Step 5: Gently press on the sequins. Step 6: I would highly recommend to apply the glitter grip again as top coat to seal off the nail art. The end result is fascinating and radiant nail art. Pictures do not do justice on how breathtaking these sequined nails are. Move your hands under the sun, and it literally looks like jewels and diamonds on your fingertips. Overall, I am extremely satisfied with the great result. It’s like nothing I’ve tried before, and this is certainly very unique and flattering for any types of outfits. To test how well the sequined nails hold up, I’ve gone through a whole day of activities, and I’m happy to report that they seem to be quite strong. I do shower and wash my hair every single day, so within this 24 hours, I’ve showered once, washed my hands multiple times, and gone out shopping, so my hands were constantly busy. After all these, the nails still look very intact and definitely hold up better than the Ciaté Caviar Manicure. My verdict is that I love this kit. I received multiple compliments when I wore this, and I would definitely recommend you all to check it out, and it’s currently on sale at Sephora. PS: The glitter grip is really nothing fancy but a clear base coat.